Apple was conspicuously absent from commercial slots aired during the television broadcast of yesterday's Super Bowl 50, but that didn't stop some of its products from popping up in ads for other companies' wares (via AppleInsider). 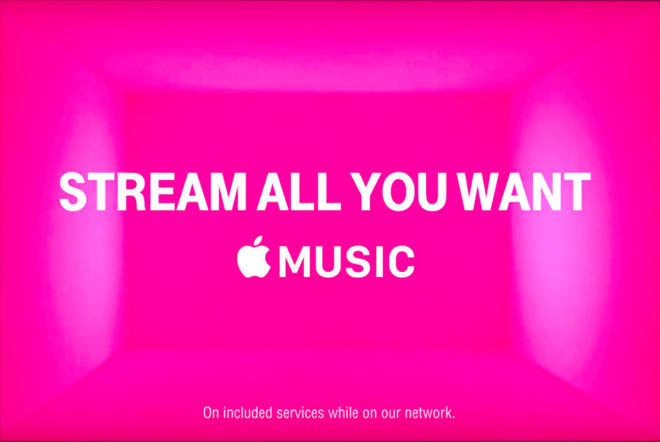 In TV spots aired during the National Football League's biggest game, a shout-out for Apple Music featured at the end of T-Mobile's ad, which promoted the network carrier's unlimited streaming feature. Meanwhile, hawk-eyed viewers may have seen an Apple Watch make a brief cameo appearance in a Hyundai commercial showcasing the car company's smartphone-compatible automotive system Blue Link, which enables remote voice-activation of several in-car controls. Elsewhere, a Super Bowl-themed ad for Apple's Beats headphones appeared on Twitter and YouTube, featuring Carolina Panthers quarterback Cam Newton wearing a pair of Powerbeats Wireless 2 in-ear headphones while training. Apple, along with Intel, Yahoo, and Google, gave $2 million in cash and other services to offset taxpayer costs of hosting Super Bowl 50, which took place at Levi's Stadium in Santa Clara, California. In exchange for the donations, each company received a private Super Bowl suite and publicity around the game. TV commercials aired during the game however can cost up to $5 million alone. Apple helped establish the annual hype surrounding Super Bowl TV commercials, with its "1984" television ad for the Macintosh being among the most iconic in TV advertising history. After a 15-year spell of absence, the company ran its last dedicated Super Bowl commercial in 1999, remembered for its depiction of sentient computer HAL 9000 from the movie 2001: A Space Odyssey. Other than that they don't need to advertise at all. I must've COMPLETELY misunderstood the last earnings call... will you please grace me with your intellect & interpret it for me?? I had NO idea that they hadn't really sold many Macs or iPhones, huh... weird. We may have not had a "1984" ad, but at least we got "puppy monkey baby." Apparently Cuban Missles didn't put enough emoticons on his quote for you to realize it was a joke. Lighten up Francis. It wasn't an attack on Apple. I had originally thought of adding a /s at the end but figured the emoticons would serve the same purpose. I don't know, had I gone the other way, that you would have reacted any different. Oh well. I am moving on. Hope you will as well. Edit: I didn't realize this was sarcasm. It could've been more clear.